The nineteenth century witnessed an explosion in the use of glass as a material from which containers and tableware were made. No longer confined to the packaging and consuming of liquids, a wealth of products were packaged in branded and patented containers. 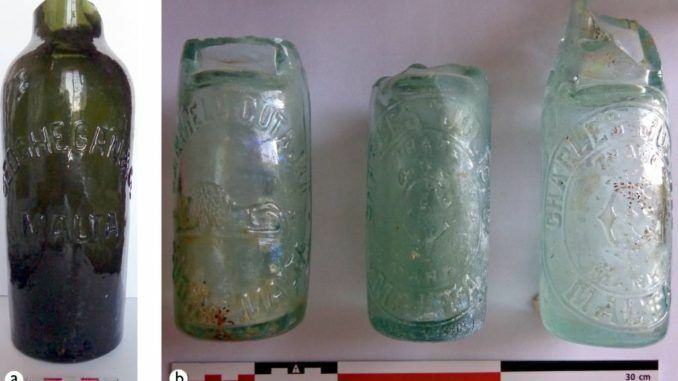 This article presents an initial analysis of glass recovered from archaeological investigations at the Inquisitor’s Palace, Vittoriosa, which in the second half of the nineteenth century was an army mess house and officers’ quarters. Focusing on function, key groups of glass finds are described. Where possible, brands and manufacturers are contextualised through complementary documentary sources, providing a broader focus and relevance to the material. From baby food jars to hard liquor bottles, the glass finds present a picture of daily life that stretches beyond typical views of military life and highlights the importance of glass finds to understanding post-medieval contexts.